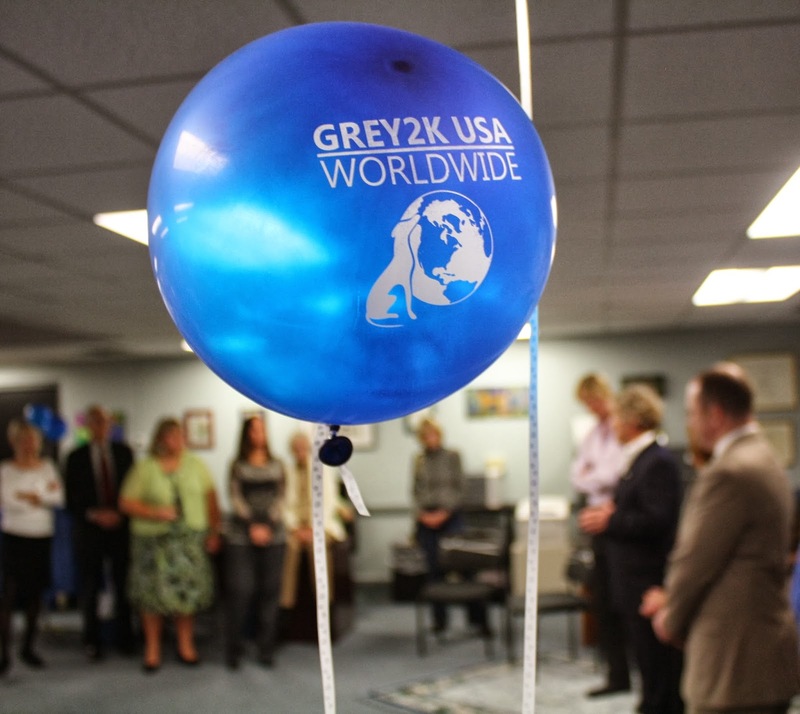 On Saturday night I had the honor of announcing GREY2K USA Worldwide, a new international effort to end the cruelty of greyhound racing. For this special occasion, I was joined by GREY2K USA President Christine Dorchak, our Australian director Jeroen van Kernebeek, and League Against Cruel Sports CEO Joe Duckworth. Surrounded by a room of friends and allies, we reflected on the victories we have already won and the work we have left to do. "Twelve years ago, Christine Dorchak and I formed GREY2K USA with an absurd notion, that ordinary citizens could bring about change ... we started with very little. We did not have an endowment, or a powerful backer, or a team of experienced staff members. Instead, we had a tiny office with no windows, a small but committed Board of Directors, and a dream. A dream we had lived through, in which we had given the greyhounds a voice, and stood up to two of the most powerful tracks in the country, before finally losing one of the closest ballot questions in state history." "A dozen years later, we have ended greyhound racing in New England. The number of active dog tracks in the U.S. has been cut from 48 to 21, with the remaining tracks on the verge of collapse. Despite this success, our work is not over. We must continue to fight until dogs no longer live in cages, no longer suffer injuries, and are no longer discarded, for an industry built on greed and denial." "We are here tonight, because we are also called to help greyhounds in other parts of the world ... GREY2K USA Worldwide will seek to give greyhounds a global voice, because the greyhounds in London and Sydney are just as important as the greyhounds in Miami and Des Moines ... this is a global industry of cruelty, and it deserves a global response." All over the world, there are grassroots groups and non-profit organizations who are striving to give greyhounds a voice. By working together, we can send a message that regardless of where it exists, the cruelty of greyhound racing will not be tolerated. I don't have a greyhound I have a whippet .They are the same breed with the same charectar instincts .They are gentle ,loving ,loyal & quiet dogs & are extremely sociable .What is wrong with these stupid people who insist & think it's ok to treat these gentle dogs this way .Please help to top this barbaric treatment .